A modern twist in your block it has the nice shapes for a big quilt. I Like your design. It's wonderful. Your block is great and will make a lovely quilt. Sadly, no-one will get home-made anythings from me this year as I just don't have the time. Yes, I will make home made gifts for Christmas. Quilts of various sizes. I like the block, nice twist. I have shipped my 3 quilts and I'm wrapping 12 smaller presents, can't say what they are. Now I am done. Fabulous block! Congrats on your design and thanks for the chance to win! Congrats on your block being chose for Volume 10. How exciting!!! I make mini quilts for teacher gifts. They seem to be quite popular. My son has two main teachers this year. I'm working on the borders for these minis now. I'm hoping to be done by the first week in December. Thanks for the chance to win! Love your block! Yes, I make gifts for the holidays. At present I have a few WIPs that I'd better get working on! 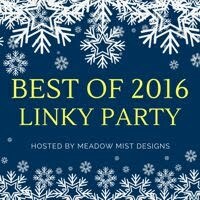 I do make handmade gifts for Christmas - almost all my gifts fall into this category! I love this your block. I plan to make some potholders for Christmas. I have lots of projects for Christmas giving: quilts, tablerunners, stuffed Santas to name some of them. Nice block! I always PLAN to make handmade gifts, but sometimes all I make is one. This year I'm making PieceOCake's elf ornaments as little gifties. I like your block. I've seen lots of HST blocks, but yours is different. I plan to make several 10 minute table runners and a piano top runner. I love your block and selection of fabric colors. I am still thinking about what to make for the holidays..... Maybe mug rugs? Wow! I really like this block and the quilt you can get by putting a lot of them together. Love the contrast. I'm planning on making small things as gifts this year - some coasters to go in fresh-baked goody packages for the neighbors. I always make something handmade for the holidays, even if it's something a simple as potholders or embroidered dish towels. I love your block, Thank you for the give away! Love your block and the fabric choices! Yes, I've finished a quilt for my grandson, and I'm working on a purse for his sister and Christmas pillows for their parents. I love this block in neutrals - definitely an inspiration. Love the block! Yes. I am working feverishly to finish THRrEE quilts before Christmas. Two puppy quilts and a FROZEN quilt for the grands. Great block! It has a lot going on and the piecing looks straight-forward and easy to achieve. What a fun looking block! I hope to make table runners for gifts this year. Congrats. Your block is wonderful. I love the secondary pattern that emerges. And the fabrics you chose are so cool. Thanks for sharing. I have made 3 quilts for Christmas gifts for family members. I am also making a couple of table runners for my sister. Your quilt block would make a great Quilts of Valor. I have 3 more to make before the first of the year. 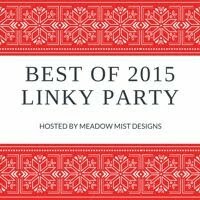 Plan to do gifts for the holiday? Yes. Actually succeed? Maybe. Love your block and it looks so great and fresh in those colors. I am sewing some drawstringbags to fill with homemade goodies. I'm going to make table runners for Christmas gifts this year. Hoping to use blocks from this issue, yours included! Congrats on your clever block. I am making cute Hoot Owl oven mitts for the girls on my list this Christmas. Wonderful block! I won't be sewing any Christmas gifts this year but I usually do. Thanks for a chance to win. I LOVE your block! Yes, I am making flannel rag quilts for Christmas gifts this year. Thanks! Yes I enjoy making homemade gifts for Xmas. I am Wowed by the fabrics you used in your block, stunning. Thanks for sharing. I make minitrees on a line with kids in scool for their home. I'm a sad elf this year. There are no plans to make anything this year. But, I am determined to start sewing again in the new year even if my sewing room is finished or not! Congrats on getting into this magazine! I really like the quilt layout from your block. I'm not making handmade gifts for Christmas this year, it's just too stressful and there are only a handful of people who appreciate them. Do I PLAN to make some gifts, or will I ACTUALLY MAKE said gifts? That's really the question here, right? year pincushions won out for my sewing friends! Yes I am planning on making home-made gifts this year. I am putting together a holiday saying in a frame along with a tin full of Chex Mix. I enjoy working with triangles. A lot of fun and they do make great quilts. Thank you for being a part of this blog tour. I love this magazine and have enjoyed my issues over and over again. Love the clean lines and simplicity of this block - and the play with the low volume! I'm making aprons for my sisters this year! I have four quilts I am giving this year and I have 32 microwave bowl potholders so far too! I love making handmade gifts for Christmas. Love your block and the secondary patterns that emerge when they are put together!! Every year I handcraft gifts for Christmas. This year I am making a Bonnie Hunter quilt for my oldest daughter.Since it is taking a long time to make, I have decided to make ornaments for others on my list.Such a busy time. Thank you for the chance to win. One can always use more ideas. I just love half square triangles -- there are so many things you can do with them. Great block, love the subtle background fabrics. I made three little change purses for Christmas gifts this year. I plan to make some nice quilted gifts for my coworkers this year - which means that I better get started NOW, LOL! NO, I am not making anything for christmas this year. I don't do christmas anymore as...without kids, what's the point? But.. I love to quilt and 100 quilt blocks would be a nice gift! I am currently working on completing two flannel rag quilts for Christmas gifts. Love your block. Half square s are fun. My plan is mug rugs for everyone - a good way to use up odds and feel as if something is finally finished. I like your block and the quilt designs. Way to go! made one gift this year--a rag quilt. Some of my best friends are engineers who have discovered their very creative sides. I like HST and your block. I've not tried using low volume fabrics for background, but I like the effect. 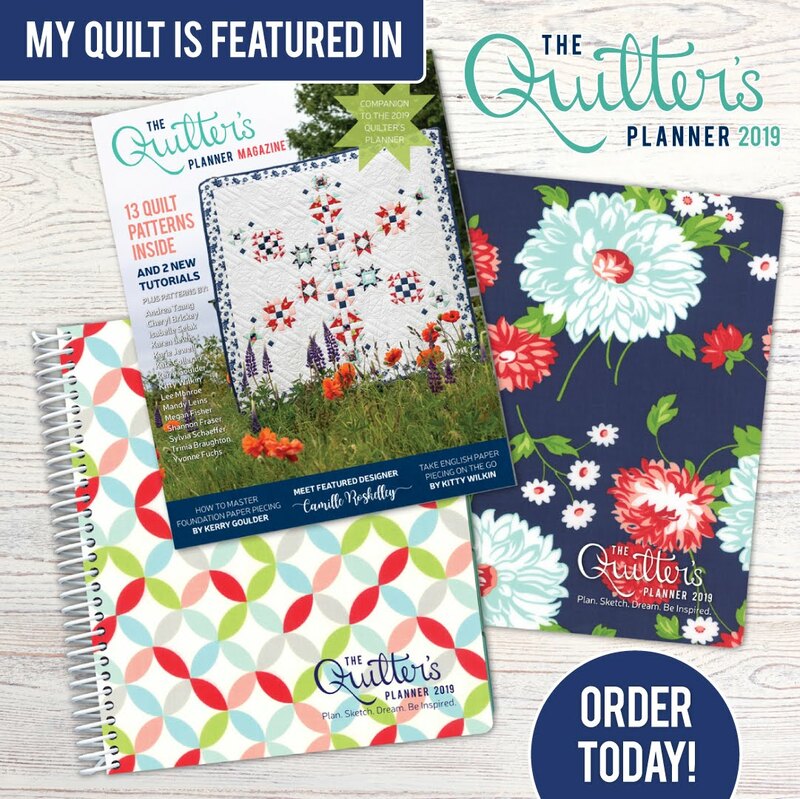 Daughter-in-law will get a quilt from me this year! The past few years almost everything I give as gifts is handmade or homemade!! thanks for the chance to win. I really like your block. Beautiful block! I love making HST also! I am trying to get some memory quilts done for Christmas. I love your block!!! I am planning to make a pictorial quilt of my dad when he was commissioned into the Army during WWII. IF I get it done it will be on display at a floral nursery in early January. Then the plans are for it to go to my brother and his wife as part of their Christmas. So, yes I am planning to make something for Christmas, although it will be belated. I have the flag that was on my dad's casket and they have her dad's flag from his casket. I'd love to find a picture of her dad in his uniform and make a pictorial quilt for her, too. I love making table runners for gifts. The problem is that I like them too much to give away! Nice Block for a quilt for a boy or a man. Think it would look as great with red and black or blue and white. I love giving handmade gifts and work on them throughout the year. Sometimes the hardest part is the waiting until it is time to give them! I hope to make some handmade gifts for Christmas....but after making gifts for my daughter's bridesmaids (all 8 of them!) I'm running out of time! I am making most of my Christmas gifts this year. I love the black in your block, so fresh. I will not be making handmade gifts. it is easier to shop! I'm well into making gifts this year, I've made two quilts, two tree skirts and a table runner with one more to go. Now this is a block I could actually sew!! I always make hand made gifts each year... it really makes the season more special for me. Fun block! 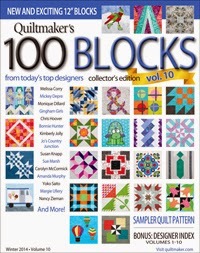 and congrats on being included in this amazing issue of Quiltmaker's !00 Blocks. Hard to imagine 1000 designer blocks from all the years! I like your block design. I was planning on making handmade gifts, but too many things have gotten in the way. Yes, my goal is to make a couple of handmade gifts. What a nice block! Love your colors.Love to make gifts for Christmas. I will find the perfect block to share with the new 100 Blocks Magazine. I' not sewing any gifts, but I will be making fudge. I have made a few homemade gifts and hope to have them complete this weekend. A heart pillow, 3 sets of placemats and a simple quilt. Let's hope it is a very productive weekend:) Love your block as well! I've already made my gifts for Christmas. Thanks for the chance to win. Congratulations on having your block published! I am just finishing up a quilt for one of our daughters, and I plan to make a Tea Party quilt for our great grand daughter, both for Christmas. Since I started quilting three years ago I have made a quilt for a Christmas present every year! I'm still working on my Christmas gifts, but they'll be done soon! Great block, I love to have secondary designs emerge. Each time I look at yours, I see something different. I will be making a big pile of pillowcases for Christmas. Great block, love how it worked up in the full quilt. I am checking out your MQ. I usually make some gifts, but my ideas don't usually come to me until the last minute. I'm often sewing on Christmas Eve:) Your block looks terrific. I, too, love that one block can make a secondary block when put together. You get a twofer! Congratulations on your block being in the 10th issue. I enjoy your block and your blog. Congratulations on being published in QM 100 Blocks. The block is completely absorbed in the quilt design. I like the low volume design. Cheryl, I like your block and the secondary pattern created when putting into a quilt. It is lovely. Of course, the selection of fabric makes it remarkable. Congratulations on being included in the 100 Block Magazine. Yes, I will be making some handmade gifts this Christmas. Thanks for the inspiration! I love playing with half square triangles too. :) Love your quilt. I am trying to finish a quilt and an embroidered wall hanging for Christmas presents. And I have to make a Raggedy Ann doll too. I do plan to make a few little sewing kits for gifts. That's about all I have time for. I like your block and really love how the full quilt looks. Thanks for sharing. Your block is great!! I always try to make my family some type of crafty or quilty thing for Christmas. Yes, several ornaments and one quilt plus other kitchen items. It seems as though I've been working forever on gifts for Christmas, and am still so far behind, with cookies to bake, cards to do and about 15 more projects to get done. Guess that what's happens when the family keeps getting larger and larger every year. 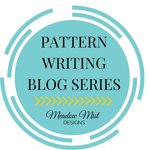 Love your block and am enjoying this Blog Hop a lot. Happy Thanksgiving. I AM making some handmade gifts this year for Christmas. I've been working on little purses for my young nieces. Thanks for the giveaway. Your block is awesome! I love Sewing Triangles with the low volume fabrics. I am planning to sew a few zip bags, but I haven't done it yet! Hopefully I'll get moving soon. Making some quilted bags, potholders and Christmas pillowcases for a silent auction to benefit our local library. Same items for craft sale for Church. I am currently making a few jewelry rolls. Your block is one of my favorites! Most of my Christmas gifts are hand made. I love your block & the fabrics that you chose for it. What a wonderful quilt block. I love HST's also. I love the secondary design that emerges with the quilt. Congrats on being chosen to be in the magazine. I am trying to finish a quilt for my daughter and one for my Aunt for Christmas this year. Oh, I love your block! I bet it would look almost as great with scraps - I'll have to give that a try. As for handmade gifts this year, I'll actually finish two quilts in time for Christmas this time. I'm finishing 2 Christmas throws, a small set of placemats & mug rugs for my grand daughter to go with her tea set, a wall hanging & several Victorian ornaments made from fabric.....I think I can see a few "all-nighters" in my near future! I'll be making a quilted stocking for a new granddaughter. Congratulations! Cute block and it makes a stunning quilt. Thank you for the giveaway. Yes, I am making some handmade items for gifts this year. I am making a few homemade gifts for family - haven't finished as many as I had hoped. My goal is to make two rag quilts for granddaughters who live where it is cool and damp year round. No, I am not making holiday gifts. This past year I have made a pincushion (specific to each person)for each of my quilt guild members and gave it to them on their birthday. It really was fun and challenging to match each pincushion with each personality. I make hand made gifts every year, hardly anything is store bought. It may be sewn or food, tho. Love your block. I'm in the process of knitting some gifts for this year. I also have a couple of quilted items stashed away that I made throughout the year. Hand made is always appreciated in my family! Thanks for the opportunity to win. Congratulations! i am making a t-shirt quilt for my hubby! 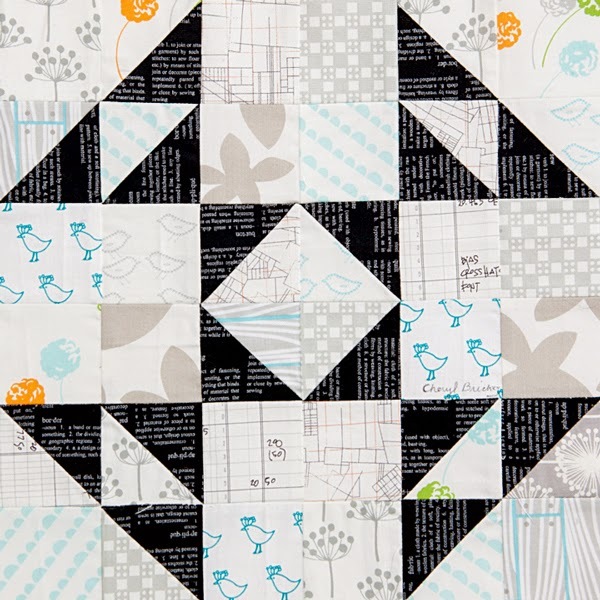 What an interesting block, and it's a great way to use up some of my neutral scraps. Great idea! I plan to make little beanbags for small hands to juggle. Great block! I'm making gifts for my quilting bee friends. Thanks for the giveaway. I always want to make more than I actually have time for! I made some purses for Christmas presents this year. I love your block! Thanks for the chance to win. Your block is great and will make a lovely quilt. I am making handmade gifts for those that will appreciate them - some table runners, some embroidered bags for scented sachets and maybe some other things if I have time. I finished a quilt for my nephew since he's off to college next year. I pieced it and my sister is going to longarm it. And my sister and I just finished a quilt for her husband since he whines he never gets a quilt. The plan is get them both quilted so they can be Christmas presents. I have some Christmas tops that need to be quilted. I like your quilt The Places We Go. I'm sewing wine bottle holders and gift tags and I'm baking up a storm but no big projects this year. I love you fabric choices. Congratulations on making it in the magazine. Love your block. I am making tablerunners and tree skirts, along with mug rugs as gifts for Christmas. Not only plan to but am almost finished! Love this retired living. Makes for so much more fun when making gifts. I love,love,love HST so of course love your design- no wonder they picked it. It's great! Thanks for the chanve to win. I really like your block and can't wait to use that block for a quilt. Like the secondary design. Great block - thanks for sharing. I'm making some small Christmas table toppers as gifts this year. Thanks for the chance to win too. I will probably only get 1 hand made gift done this year. Congratulations on making the magaznie. I will be making several hand crafted items for this gifts this Christmas - mug rugs, tote bags, lap quilts, etc. Congratulations on your block being selected. It's really neat. I plan to make some pillows for Christmas gifts this year. Last year I did some placemats and a table runner so wanted to do something different this year. Absolutely. I already made a bunch of felt santas, embroidered pincushions and am working on a quilted wallhanging and a tote bag. I love the block, and the full quilt it makes! I'm in the process of making a quilt for my godchild's first child, for her very first "big girl" bed -- it's my first quilt ever! Great block and I love the secondary design in your quilt layout. Congratulations on being included in this issue. I'm working on some fabric poinsettias ornaments to give to my family and friends for Christmas. I am still hoping to make some zipper pouches as gifts for the girls. I am sewing flannel shirts for my 2 children & their spouses. I've only just started the first one, so I hope I can get them completed! Congratulations on getting your block in the magazine. NO handmade gifts this Christmas. 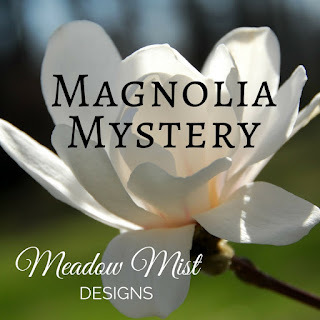 I have been so busy doing curtains for my youngest and his wife's new home that I just want to relax a bit before I enjoy some quiet quilting and needlework for myself. Lots of subtlety here. You have to get close to see the background prints. Could be fun as an autograph block, too. I really like the look of your block with the positive and negatives, really gives it a whole new look. I have been making presents for my friends and almost done, then I will get to presents for my family, since I don't have to mail those, so hopefully it will all be done in time. Your block has so many subtleties to it--the secondary designs are great. I had big plans for quilts this year, but with two sick dogs (cancer) I am scaling way back. Baby quilts are going to the machine quilter instead of being lovingly quilted by me, and I am going to tie the two quilts I have pieced for the dogs. I'll be making some nice memories, tying quilts with my girls as we watch holiday movies. Christmasy enough for me this year. I am hoping to make my daughter a quilt. No plans to make gifts this year--I should have started much earlier! I like the block--I think it could be a fun scrappy quilt. Yes..I have a few projects I hope to have finished in time for Christmas. I have a few hand-made gifts in progress, so hopefully some of them will get done. Last year I made 9 pillowcases for the grandchildren, so this year I'm taking a little break. Love your design and the fabrics you choose to make your block, Cheryl! Congrats on being published in the magazine. Way cool! I love making handmade gifts and already have a few in the works. 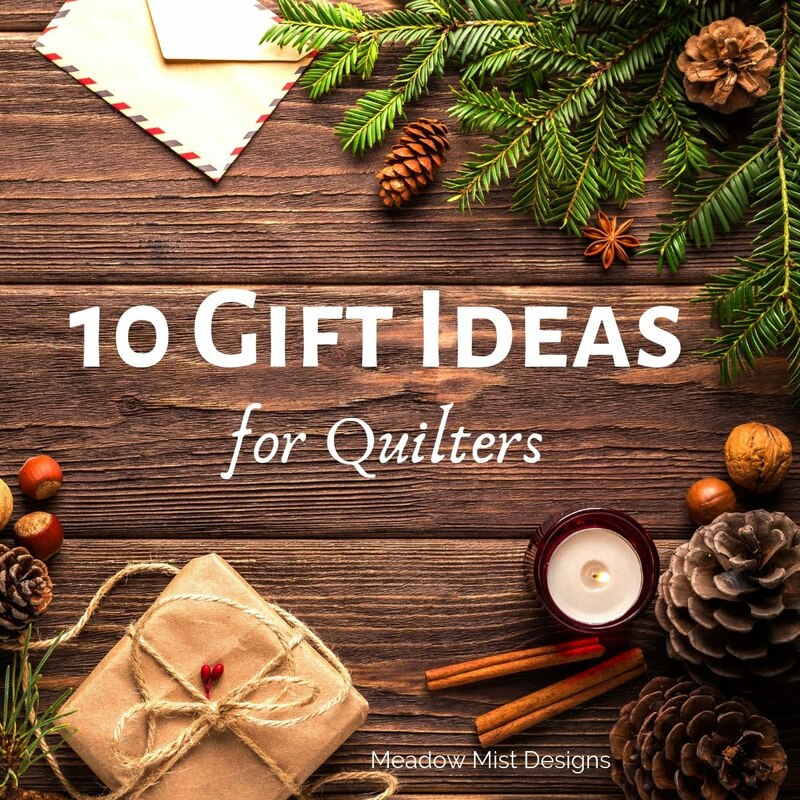 No, I don't have plans to make anything homemade for this Christmas....but I'm giving two quilt kits to my daughters with a note that I will make the quilts for each of them this coming year. We made Christmas socks for all the moms and dads and grandchildren last year and are currently making bed-size quilts for the grandkiddies for next year-20+ quilts--have 11 finished. (Their parents received theirs three years ago.) 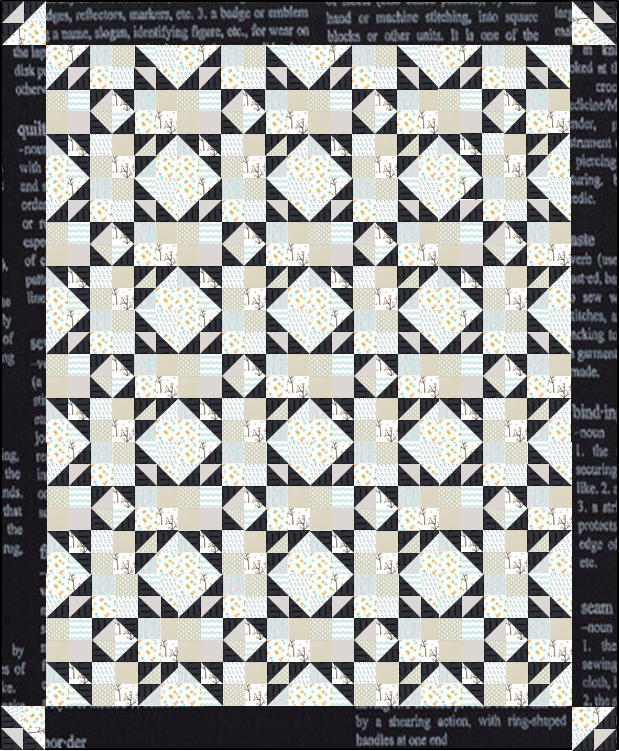 Your triangle block would be great in a two-color quilt. Look forward to using it. Your Sewing Triangles block is gorgeous! I love the fabric colors and the quilt is stunning! I plan on making some mug rugs, pouches and IPad pillows. Thank you! Anyone who see's my mug rugs wants one. After I gave one to a fellow weight watcher, she said SHOW me...this would be great for Christmas! HELLO SELF-so simple and fast and fun - DONE! I'll be making lots of table runners and mugrugs for gifts this year. Your block would work great for either. Blocks that create a secondary design when combined are so fun. Your's is great. Thanks for the chance to win. Cute block! And quilt design - I see lots of possibilities. Congratulations on your block! I would love to win the magazine. Not sure if I'll make anything for Christmas; working on finishing projects instead of starting more, lol! Yes, I have already made some of the Christmas presents....a tree skirt...a table runner....pot holders and pot scrubbers. I love to give hand made gifts, don't you? Love your block. It is so fresh looking. 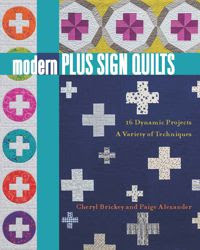 Good inspiration for me as a new quilter. Congratulations. and thanks for the opportunity to win a magazine. Great block! I always like seeing a secondary pattern emerge when quilt blocks are sewn together. I am not sure yet if I will be making handmade gifts for Christmas this year. At this point they will have to be gifts that are quick to make. i'm sure going to try and make something for my friends ... 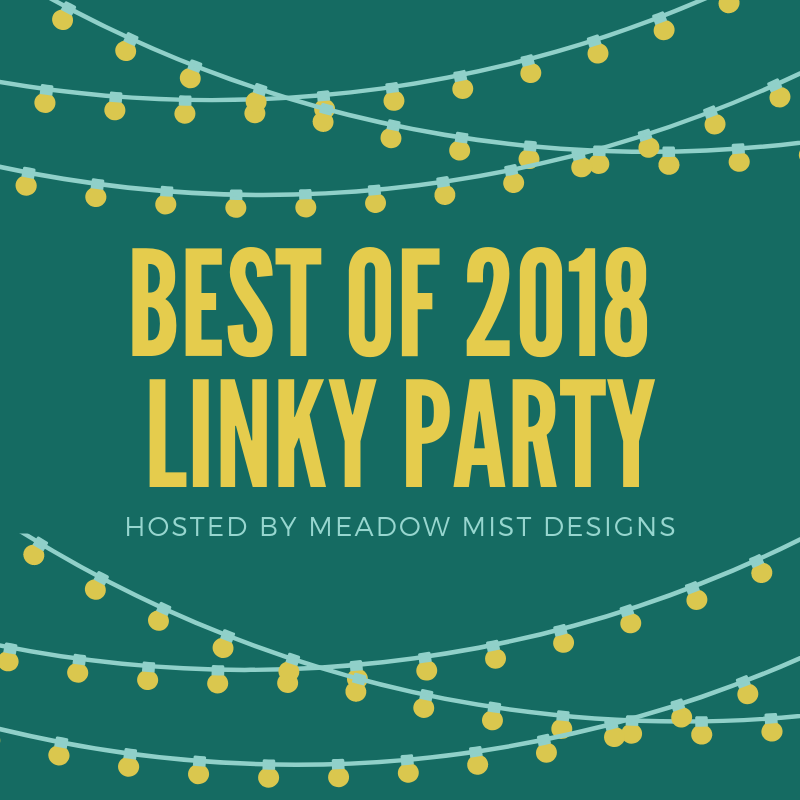 I do every year, but i'm out of ideas! seeing all the gorgeous new blocks makes me think I just might make mats and potholders with some of the new blocks like yours. I plan on making several gifts this year. I love your playful block it's great. Congrats! Looks like a cool block in those colours. I'm just finishing up 3 cushions! Great block. Have started Gifts already. Very early for me this year. Hope to have some time to play with low volume table runners. Great block. I think I would enjoy making it. For gifts this year I am making a number of journal covers. Thanks for the chance to win. I love your block! Does it have a name? I'm trying to get a few small HST projects going and done for Christmas gifts. Love those little mini-charm packs and HST ! Great block! I especially like blocks that create secondary patterns. I am planning to give some quilted table runners as Christmas gifts this year. Simple block with an updated look is a brilliant entry! Congrats! I alwasy make Jamma's for the Kiddo's at Christmas..and have few Grankiddo's added to my sewin' Jamma's List now too! :) Also make a Throw, 2 Wallhangings & a crocheted Throw too. Love your Block!! & the Fabrics you chose too! Very cool! I really like your block. The fabric choices with the low contrast background and the black foreground are so striking. I always plan to make more handmade gifts than I have time for. But I get as many done as I can and save the rest of my plans for another time. Love the scrappy background for this block. I am making homemade ornaments this year. I love that block! I think half-square triangles are really fun to work with too. I don't have plans to make any hand-made fabric gifts for Christmas year, though I will be making lots of gifts in the kitchen! Love the extra little triangle in your block. Oh yes, I'm already on the way to several quilts for Christmas gifts this year, some bed sized and some for wall hangings. Thanks! Very cute block. Not planning on homemade gifts this year. Thanks.